FREDERICA, Del. – Marissa Cuevas said competing in the National Lacrosse Classic has been the highlight of her summer for the second straight year. 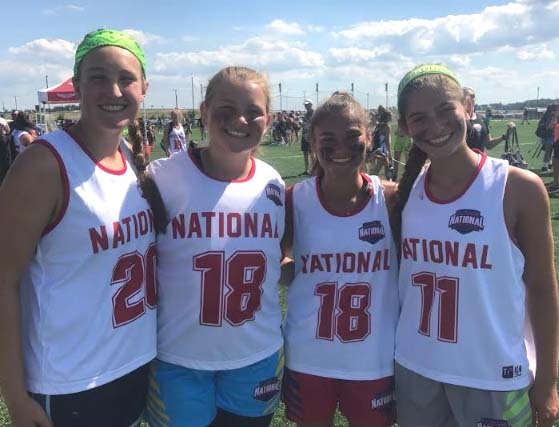 “I like the coaches and staff and it’s really organized and the group of girls I play with are phenomenal,” said the 2019 goalie from Sachem East and Team Metro NY. “We play together like we have been playing together for years. Cuevas was a standout Wednesday in the Girls’ 2019 All-Star Game at the NLC, making 5 saves and allowing just two goals for the American team. Her Team Metro squad went 4-0 in Pool Play and defeated Florida this morning in the quarterfinals and will face New England in the semifinals at 10 a.m.
Vienna Iacona, a 2019 goalie from 10-time state champion Cape Henlopen-DE and Team Delaware, had seven stops and allowed just one goal for the American squad. She is happy Delaware is now the host state for the NLC. Another goalie standout in the 2019 game was Ally Weneta of Team Carolina and Roanoke Hidden Valley (VA). She had four saves and allowed no goals in the second half, helping Team National win, 3-2. “I tried out last year for Virginia and didn’t make it, but really wanted to play this year so I went out for the North Carolina team,” said the Shippensburg commit, “We (Team Carolina) didn’t win a game but we’re all getting along really well and we we all want each other to succeed. In the girls’ 2020-2021 All-Star Game, the National team (all players highlighted here were on the team) won, 11-5. 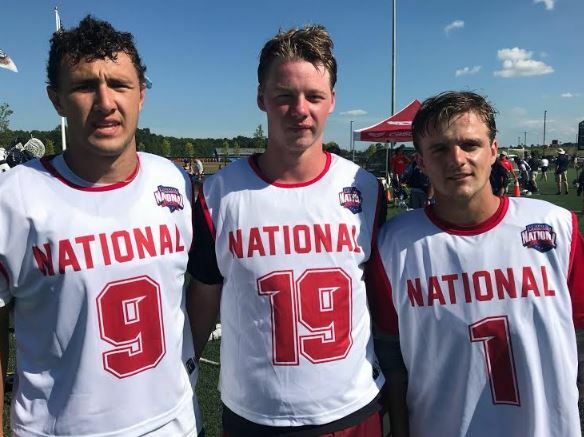 The National squad won, 10-4, as Tommy Bloom (2019 ATT, Team Delaware, Sanford School) had three goals as Lee Rock (2021 MF, Team Maryland, Archbishop Curley-MD) and Ben Takata (2020 MF, Team Colorado, Ralston Valley-CO) each added a pair.